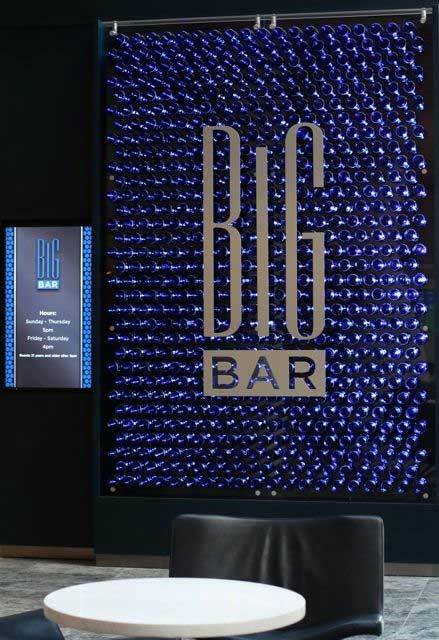 “Big Bar” offers what the name suggests—a big experience with big drinks in a rich, dark environment with honest, tactile materials. 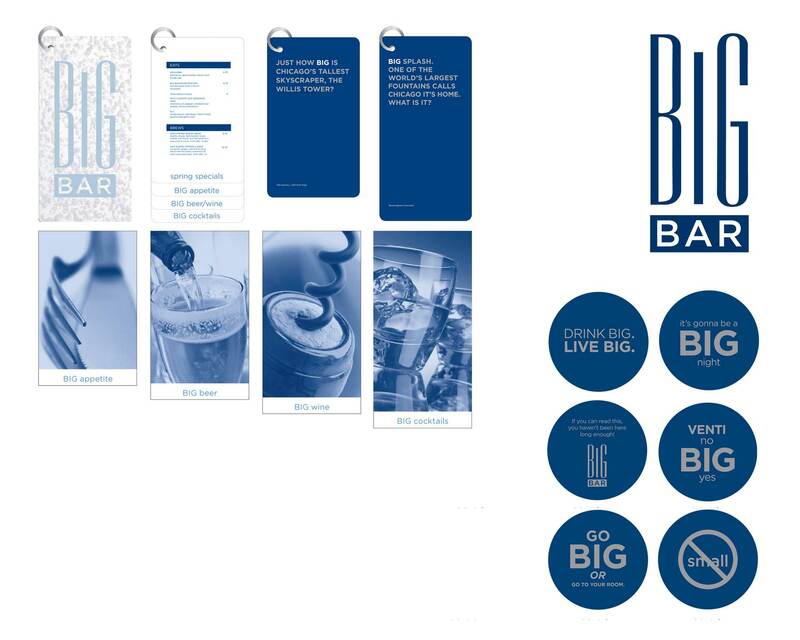 Ideation developed a series of graphics including menus, witty coasters, and signage. The main sign is a sophisticated reinterpretation of a big alcohol bottle presentation. Each blue bottle contains an internal LED light and was thoughtfully designed to minimize dust from settling into the signature focal element.